If you want to know your credit score, but you don’t want to pay for it, you can use a credit score calculator or estimator. Many of these are available online and they allow you to enter your information and they generate a probable score. Your exact FICO score cannot be produced from these calculators because the Fair, Isaac Corporation keeps their exact mathematical formula under wraps. Fair, Isaac Corp. is responsible for creating the FICO score and nearly every lender defers to this score. 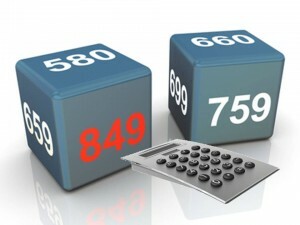 Credit score calculators require input of some of the most important elements of your score. Payment history accounts for 35% of your score. Paying your bills on time is the heart of your credit score. Even if you are only making the minimum payment, it is still better than missing a payment or paying late. Missed or late payments stay on your credit report for 5 years and they continue to affect your score until they fall off. 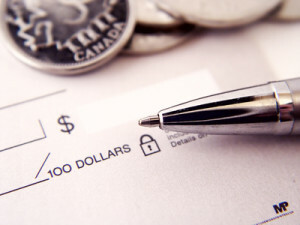 Lenders want to see that you’re responsible and that you understand due dates. Debt usage makes up 30% of your score. This is another important entry into the credit score calculator. 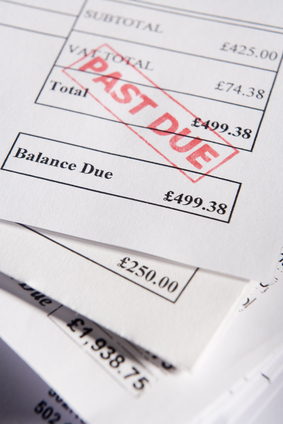 Debt usage is the balance that you carry on your credit cards and other debts every month in relation to your limit. 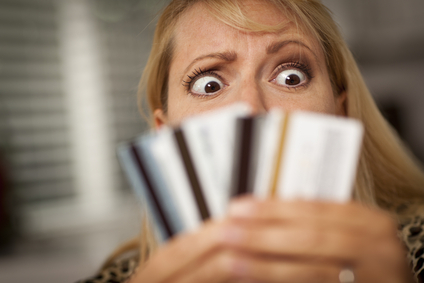 Experts recommend only using about 1/3 of your credit card limits and ideally, you should pay your balance every month. Most people can’t do this, but you should pay as much as you can every month. You should not charge more than you can afford to pay back every month. That is great advice, but some people don’t follow this. Many people have the wrong mindset about credit cards; they figure that since the credit card company is giving them such a high limit that they might as well use it. The credit card companies are in business to make money; the higher your balance, and the longer you carry the balance the more they make in interest! Account mix adds 10% to your score. Good credit reports contain a mix of installment loans such as a fixed amount car payment or revolving credit like a credit card where the balance dictates the minimum payment every month. Age of credit contributes 15% to your score. The age of your oldest credit card affects your credit positively so if you are just starting out, try to get a low limit credit card and don’t abuse it! Don’t close old accounts even if you pay off the balance. Closing old accounts negatively affects your score for 2 reasons: the credit limit adds to your total credit amount which positively affects your score and the old credit card is like a placeholder for the age of your credit report. Most old accounts show up even when they are closed, but you still want to show a long account history with one creditor with an open credit line. 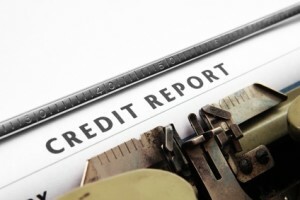 Credit inquiries only represent 10% of your score, but it is probably the easiest part to control. Just don’t apply for a loan or credit card and ask insurance companies if you are getting a new policy. Credit inquiries occur when you apply for a credit card or a loan. The banks do what is called a “hard pull” of your credit report, which means they are checking it to decide if you deserve more credit. When you check it yourself, the companies do what is called a “soft pull.” This has a negative impact on your credit score because it looks like you are in need of money. Funny isn’t it? The point of a credit score is to get credit, but applying for credit hurts your score. The good part is that any negative effects dissipate within months. Even though these percentages total 100, there are several other minor situations that factor into your score. Income, length of time at job or residence, and marital status also contribute to these percentages. Basically, your credit score reflects how responsible you are, how much credit you can afford to pay back, and how stable your life is. If you’re switching jobs and moving all the time, it makes you look flighty and unsettled. Unfortunately, credit score calculators do not factor these into your estimated score. Credit score calculators are a good tool for estimating how different scenarios will affect your number. See how paying off your credit cards will affect your score, or check how taking that new car loan will change your number. The most accurate results come from entering the most accurate figures, so try to enter numbers that are pretty close to reality. Credit score calculators are a helpful tool for finding out an estimate of your score, but you should not rely on them for an accurate computation of your score.